I just wanted to let you guys know, that I just uploaded a new video on OneTwoEat YouTube channel. I don’t think I have to explain it more here, cause I go quite well in to details in the Video. So you just head on over there to see some good beauty stuff and a few vegan food stuff. Sorry about the lack of blogs right now. It’s harder than you think to blog while on vacation. We have had very little time to relax, most of the time we are driving around and the WiFi is crap. Couple of days ago we went to Germany to shop. We are in a summer-house in Denmark so it only takes us one hour to drive there. We were shopping in the Scandinavian park which is a store on the borders of Denmark and Germany. They sell I think every Sante product that exist. 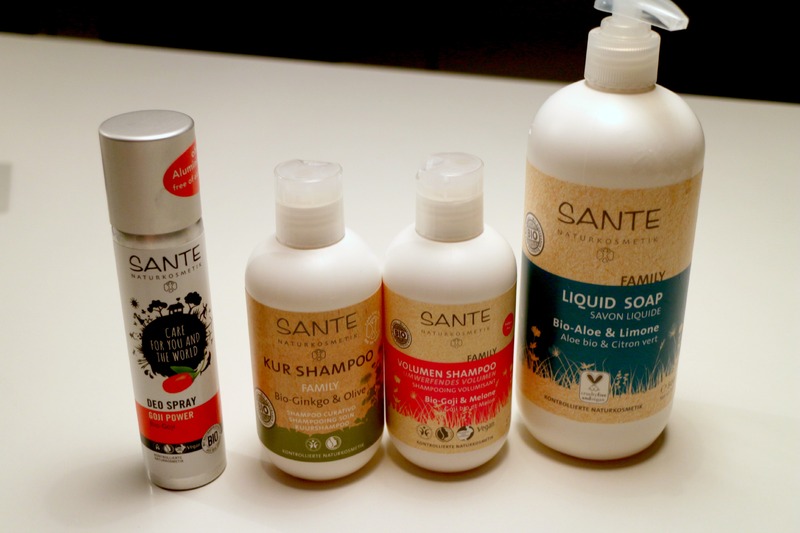 So I was in heaven there and bought a lot of Sante products. Sante is made in Germany so it was easy to find. 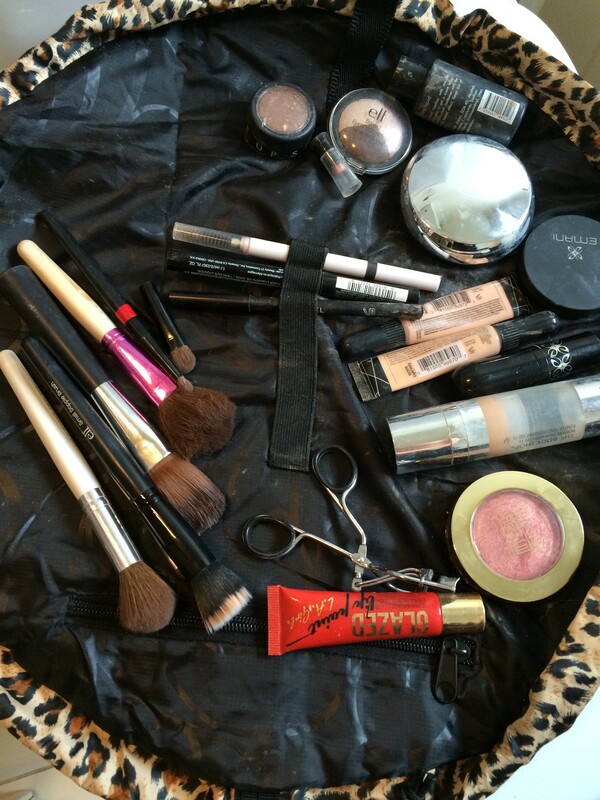 I wanted to show you what I pack for my beauty bag while traveling. We are leaving for Billund, Denmark soon so I’m packing our bags. Here are some of the things I pack to take with me beauty related. First up is my make up bag. This is a bag that lays flat when you open. The name of it is Lay-n-Go Cosmo. This is amazing when traveling. Most of my products are from elf, the body shop and LA girl. I also love EMANI. I only have two products from them though, lipstick and a bronzer. So Girls and maybe boys. The other day I lost it a bit on the e.l.f website and ordered 3 new things and the week before that I had spent a bit more money than I was going to in The Body Shop. I thought you maybe wanted to see some of those things so here it is. All Cruelty-free of course. I was not sure about this when I placed my order. But I was very curious. So I did it anyway and I’m impressed. I like it a lot more than I thought I would do. The colour match is perfect, and it slides very easily on. Hi beautiful people out there on the Internet! Blogging in a hurry that’s my life right now. Doing things in a Hurry. I decided to do a quick blog now about my favorite breakfast at the moment. 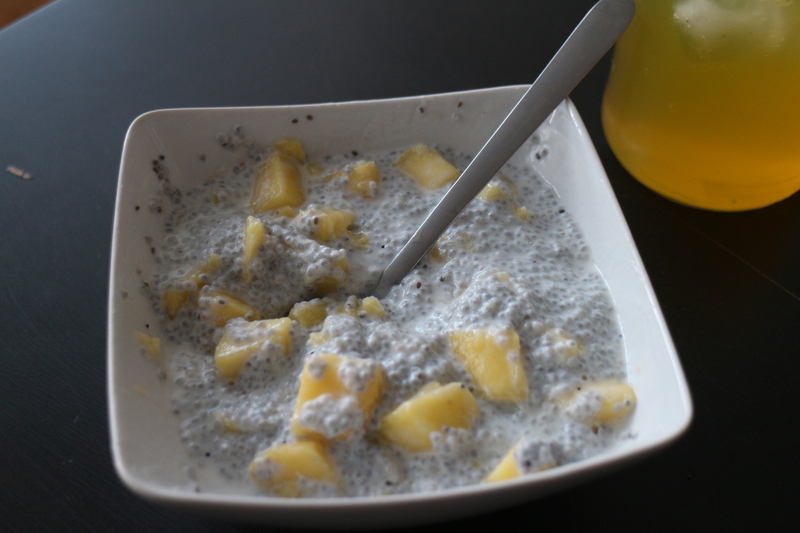 I’ve been loving Chia seeds lately. I took a little bit of a break from chia over the summer for many reasons. But the main reason was better options of breakfast, watermelons, fresh berries and amazing smoothies. But now when the winter is here in Iceland. I’m back to porridge. Oats, chia and rice porridge is what is popular in my house right now.